It assists you enroll the world's best capable tech individuals with extraordinary information and eagerness. You can discover contract workers, low maintenance representatives and full time representatives at a quicker pace than at any other time. It likewise causes you. Recruiting individuals at a quicker pace than any time in recent memory required. My organization I work with necessities an ever increasing number of representatives on a venture premise. As we continue getting new undertakings, workers need to come in at the earliest opportunity. Enlisted has made our work simple. "Easy to use hiring tool"
Hired allows you to easily search and discover potential tech, product, and design talent for your organization. The candidates on the platform have been vetted and are typically actively looking for a new role. Each candidate on the platform has a profile with relevant information from their resume/LinkedIn, to what they are specifically looking for, as well as their compensation requirements. From the candidate profile, you're able to directly message the candidate and pitch them on interviewing with your company. They have built-in tools to help schedule the interviews and also connect with a wide range of Applicant Tracking systems. Hired helps small recruiting teams find and make offers to great candidates at a fee. They recently increased their fees per individual hire but I think are making up for this by offering package deals or an annual subscription to the platform instead. If you plan on making more than 1 hire I would suggest looking at bundles or the annual subscription plan to save on costs. Hiring qualified engineering candidates efficiently. This was my organizations first upgrade into an digital platform to assist us with hiring processes. So going from virtually nothing to this system was a great improvement. The fact that we could see current applicants and where they were in the process was very helpful and saved communication time. The interface was bulky and difficult to work with. It was not as intuitive as we expected. Run through a demo of it and other competing products. It has streamlined our whole hiring process immensely. Before we had a single email address just used for applicants. Our secretary was designated to monitor and communicate with applicants through it. But now with an actual system in place, our applicants are finding a much easier time applying and our secretary has fewer responsibilities with hiring process. "There are so many other more effective tools"
Resume and phone number is attached, but other than than nothing. Candidate pool is not up to a high caliber. 90% of the candidates are not even close to the bar I need in order to hire. NONE of the candidates that they send me are good fits. The constant communication from the HIRED team is very hard to manage. Very micromanaging and they aren't even in my company. "Great potential and unique service"
Unique platform and nothing similar out there really with the level of service, quality and no-hassle interface. It's a "remake" of the classic job board but with more personality, quality candidates that are pre-screened but in like a job board - once a candidate gets added to the platform, the more clients using it, the more people will try to reach out to that one candidate. Like job boards - a truly amazing candidate will have 10+ instant companies fighting for them. Be prepared to put your best foot forward with candidates. Where most situations you're "conservative" in what you offer, others are going to put their highest salary, bonus and equity on the table. You need to do the same if you even want to be considered. Hiring quality people. Sourcing can be tough - it's nice to have quality candidates fall in your lap (at a cost) with the sourcing done for you. Currently I do not see any improvement to be done from your end. Only improvement will be adding more roles of other industries like construction/ manufacturing/ other industries. It should also have a platform where hard labor can be hired which will become a great asset to the company. Hiring people at a faster pace than ever needed. My company I work with needs more and more employees on a project basis. As we keep getting new projects, employees need to come in as soon as possible. Hired has made our work easy. "A super collaborative and a versatile tool to connect to potential employees - Recruiters Rejoice!" It is very well organized and I can easily connect to multiple people with a click by sending a similar email template. The platform does not involve interviewing which is the most things needed. It should have an external hired application for interview purposes that we can link to the interview committee so they can see all the info that the recruiter has collected. Acquiring talent to fill open positions. The cost of hiring someone via Hired is quite expensive but I believe the ease makes it worthwhile. The ease of use, design and filter, sort options. One touch apply is a good tool as well. Wish it could do a better job on exact word search and filter out results which are very relevant. We use it to manage our talent pool and update it as and when we need new talent. Easy to apply and find jobs. Best to use in light terms. "Solid Engineering Platform for Talent"
We brought in Hired when Engineering hiring hit a high point. We bought their subscription model and hired about 11 engineers in a 6 month time frame so the ROI was great on it. To get a quick pipeline of qualified candidates is great. Closing them is the harder part though because they have several other offers to look at. Just all of the competition between companies. Other companies will throw out a crazy salary number to try and get them to agree to talk to them but its unrealistic. We are solving our open headcount reqs that we are trying to fill. "Utilize as an employer for hiring purposes at a growth stage start-up"
How easy it is to use. So simple to browse, search, and reach out. Pool of candidates is still growing, but it is updated weekly with new candidates. Sales is still growing but Tech/product candidates are plentiful! You can go in once a week to find what candidates may be good fits for your roles, and then move on to something else. SOO easy! This gives a pool of people that most often are not active on other sourcing tools. "great potential but lets see what becomes of it in the long run"
i feel like this is very similar to the other job sites out there on the web. "I really liked this software"
The product was easy to use and did not take much of my time. There is nothing I disliked did not have to use anymore but would use again. Always work with customer service. They are very helpful. "New age tech recruiters. Much better than the old head hunters. " Great customer service. Really like their value proposition. As with all recruiting, can be expensive, but I think they have the right price point. Try them out. We were a company that looked at using them. Have not followed through with a new hire yet, but we likely will in the future. This program allows you to find and hold the best employees out there for your particular business. I wish it was just a little more detail in its breaking down of specific wants for an employee. "Got an interview call within 2 weeks"
Created a profile on Hired and got a call from one company within a couple of weeks. The support is very good so far. Nothing as of yet. Looks streamlined so far. Getting a job interview based on the salary range I want it in. 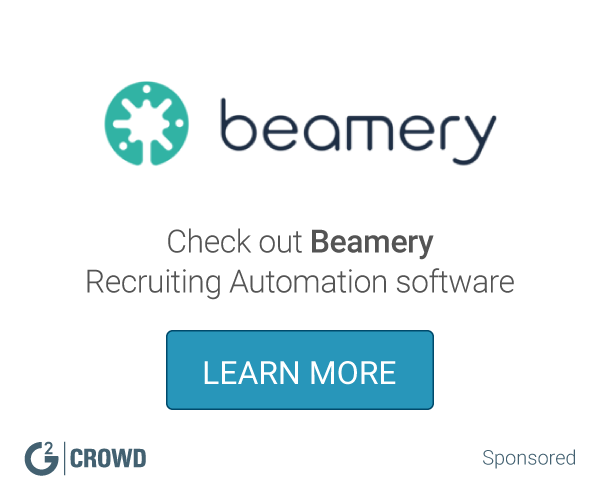 "Good product for a small recruiting team or sole recruiter." Weekly flow of talent. Makes sourcing easier on recruiting. Its costs a good amount of money per hire. But same as recruiting agencies and from my experience the talent quality is higher on Hired than what I'v received from recruiters. Hiring faster. Immediately finding people who are interested in new opportunities. Cuts down time sourcing. Good for a small recruiting team who has funds to pay per hire. "Nice platform to connect talent to recruiters"
The interview scheduling add-on is convenient in that it will sync with your Google calendar. Simple yet modern user interface and the UX is great. It's not possible to establish a direct line of communication with the recruiters (which is understandable, but not necessarily the most convenient). You'll find a growing pool of candidates from both technical and non-technical backgrounds. The ability for aplicants to be able to video interview right from their device. * We monitor all Hired reviews to prevent fraudulent reviews and keep review quality high. We do not post reviews by company employees or direct competitors. Validated reviews require the user to submit a screenshot of the product containing their user ID, in order to verify a user is an actual user of the product. Hi there! Are you looking to implement a solution like Hired?